TRIAL OFFER – GET YOUR FIRST HAIRCUT FOR ONLY £10 OR JUST £5 FOR BOYS! If you didn’t get a chance to try out Jacks before Christmas, then we have some good news for you: We’ve extended our trial offer until Sunday 31st March. 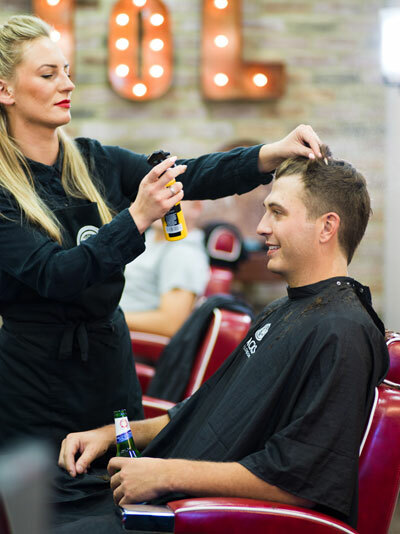 Jacks of London is ‘The Original Modern Barber’, an award-winning barbershop group that offers high quality hair, skin and shave services. For first time customers only, we’re giving you the chance to trial our superior services at our new store inside World of Golf, London for only £10 for adults and £5 for boys. So next time you’re over this way to hit some balls, why not stop by and see our Master Barber Chris for a first class cut and style while you’re here. 10am to 6pm Saturday and Sunday. Offer valid until Sunday 31st March – simply show the latest newsletter on your mobile phone to claim. Terms and Conditions: This offer is only available at Jacks of London inside World of Golf, London. To qualify for a boy’s haircut you must be under 16 years old. It is not valid in conjunction with any other offer. It can only be claimed on full price haircuts and does not include shave and skin services. The offer is valid until 31st March 2019. A copy of the newsletter must be shown, and an email address given in order to claim the offer. The offer can only be claimed once.